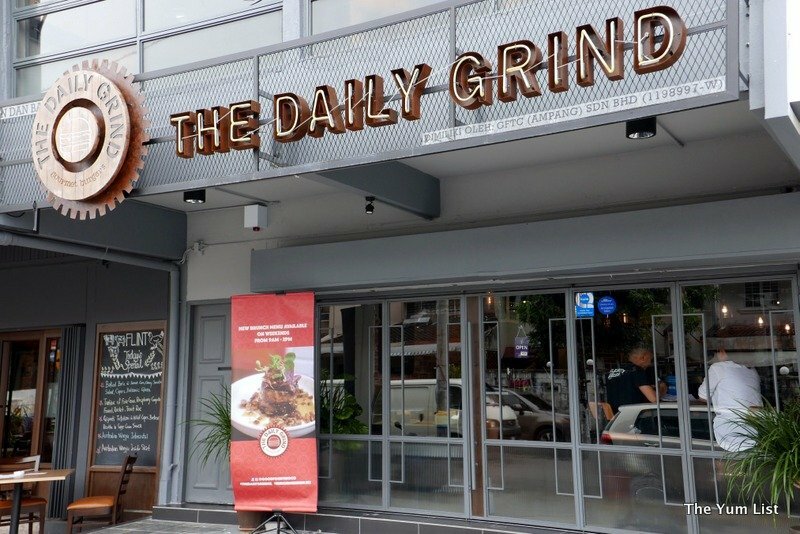 Burger lovers might know The Daily Grind from their outlet in Bangsar. 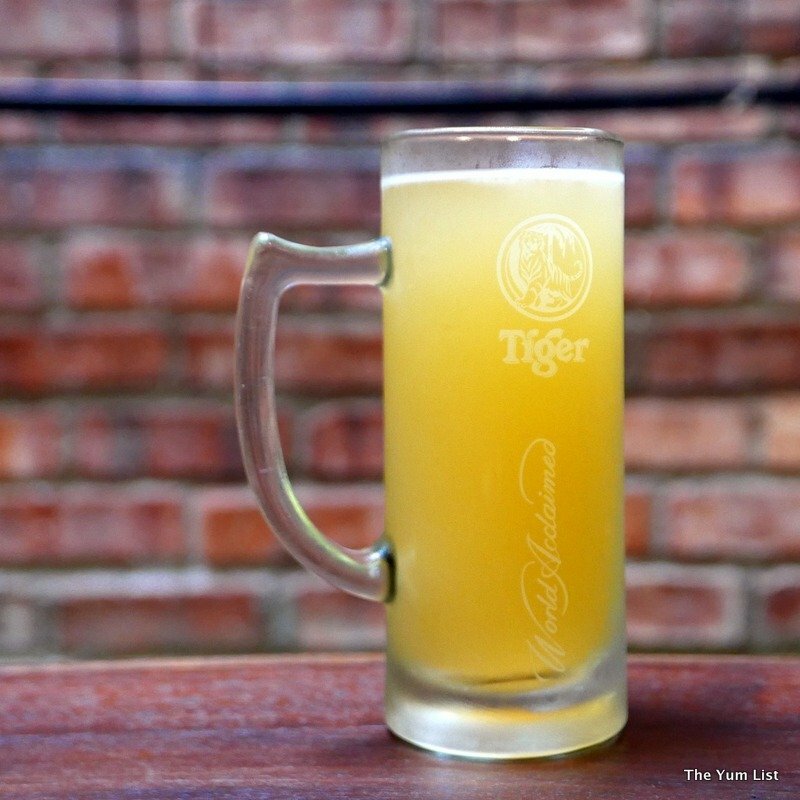 They are one of few restaurants in Malaysia that can claim to be an original. Hitting the scene back in 2008 they pioneered the path for gourmet burger joints across the country. Since then many have come and gone attempting to replicate their success. The Daily Grind however has stood the test of time, and now residents in the Ampang area have the luck of grabbing a burger with the opening of a sister branch in Persiaran Ampang. The burger menu at Ampang is more compact than the Bangsar branch, but features a dinner menu not found in the original location. 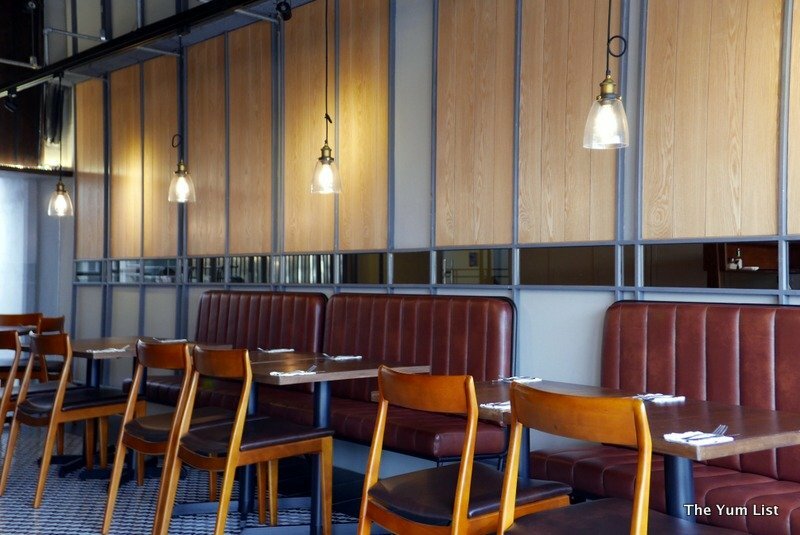 With more of a neighbourhood vibe than the shopping mall restaurant, this outlet is a friendly space for family and friends wanting a regular go-to spot for a wholesome meal. 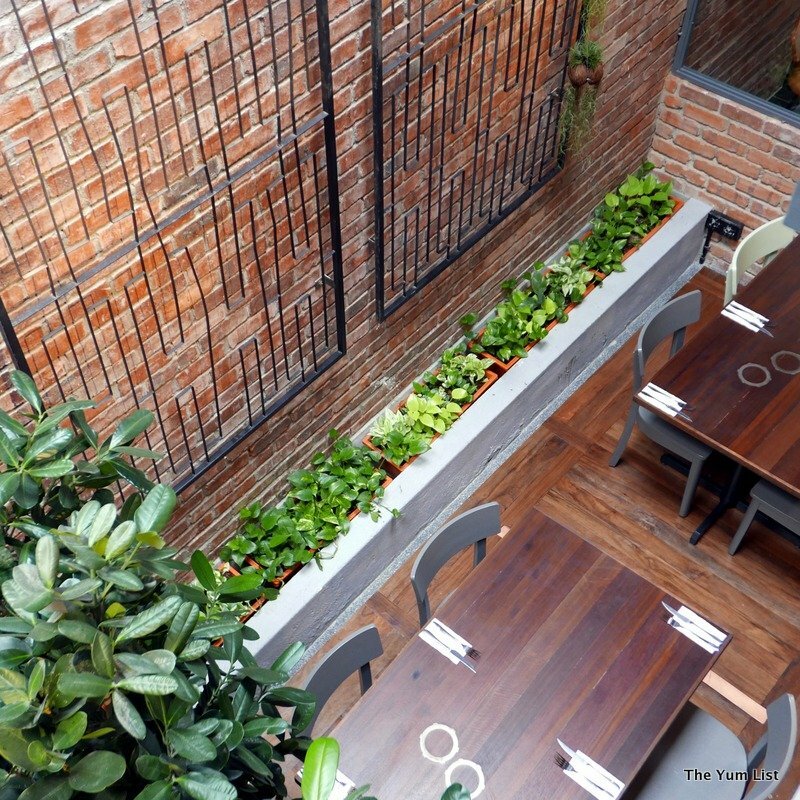 Exposed brick walls, natural light from a central atrium, and plenty of leafy plants create an amiable space. Why “The Daily Grind?” Marketing manager, Selena Mak, says it’s because they freshly grind their own patties, ensuring 100% meat with no fillers. Proudly making just about everything from scratch, (and what they don’t is custom made to their precise order), they are adamant to be the opposite of McDonalds: nothing but quality ingredients with no nasty chemicals, a place you’d be happy to feed your family at often. The menu fits nicely across a single placemat and offers good variety for a range of preferences: meaty, vegan, vegetarian, paleo – there’s something for most. 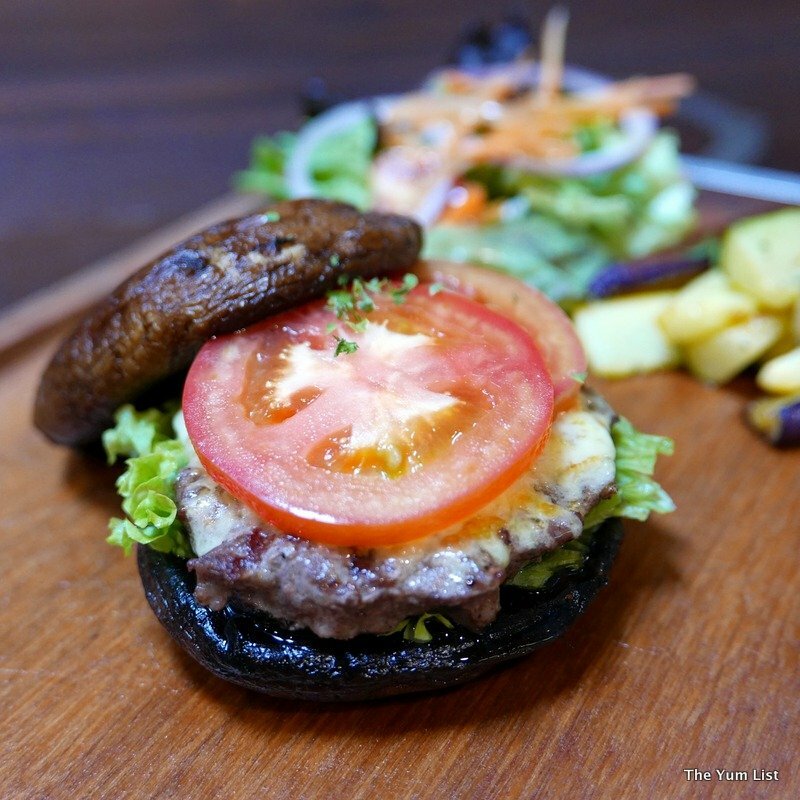 Satisfying the latest food lifestyle trend, the Portobello Paleo Burger (RM35) offers a grilled beef patty with melted cheese, tomato and lettuce, sandwiched between two Portobello ‘buns.’ The mushrooms make the perfect embrace for the patty. Grilled vegetable batonnets and salad complete the wholesome, minimally processed meal. Downtown Tokyo (RM33) takes us to Japan with its deep-fried soft shell crab filling. Given a mild kick with wasabi mayo and greened up with rocket leaves, the multigrain bun envelopes it all in warm, toasty goodness. 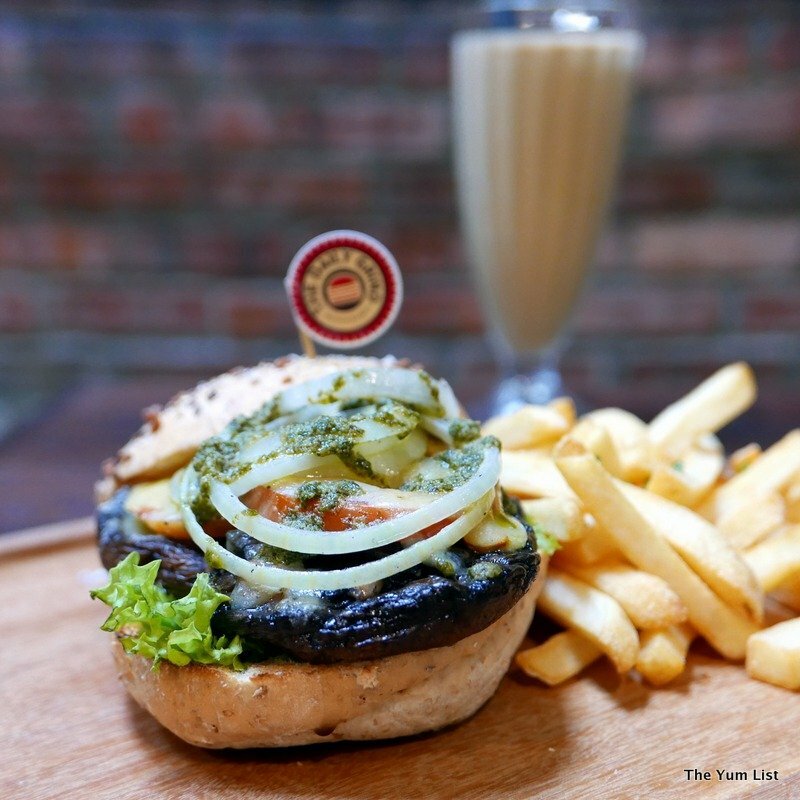 Portobello Mozza Stack (RM28) features Portobello mushrooms filled with grilled tomatoes, sautéed onions and mozzarella pesto, which are baked and set on a bun. Moisture from both the mushroom and melted cheese makes the burger ooze with every bite. The fries that side it maintain their crispness even though we’ve let them sit for some time. Corn Croquettes (RM15) come highly recommended. 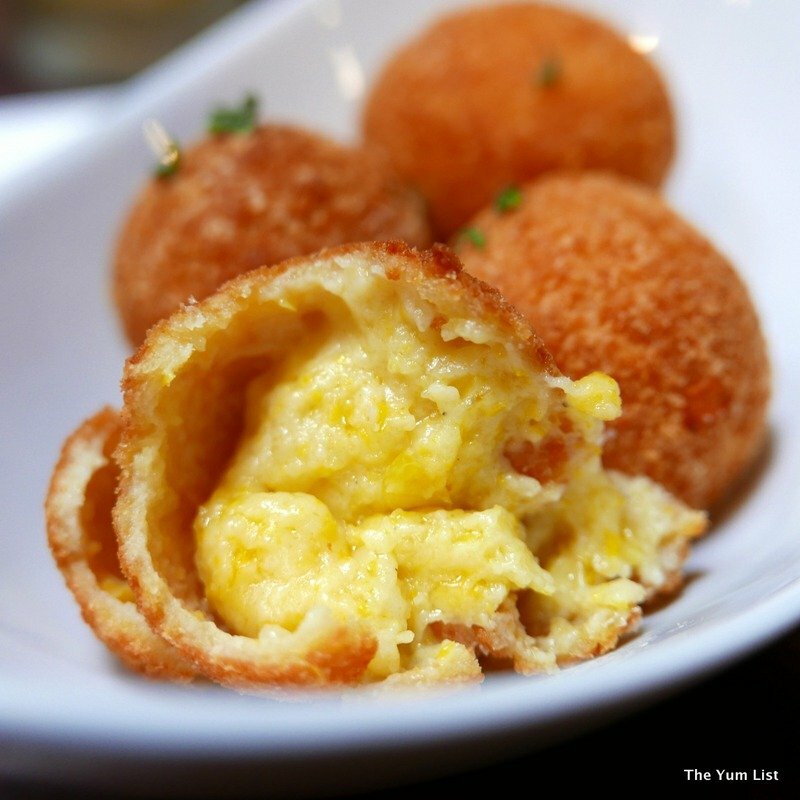 Deep-fried breadcrumb rolls break open to a creamy corn filling. The accompanying wasabi mayo dip is almost as fine a mate as the icy cold beer we order with it. 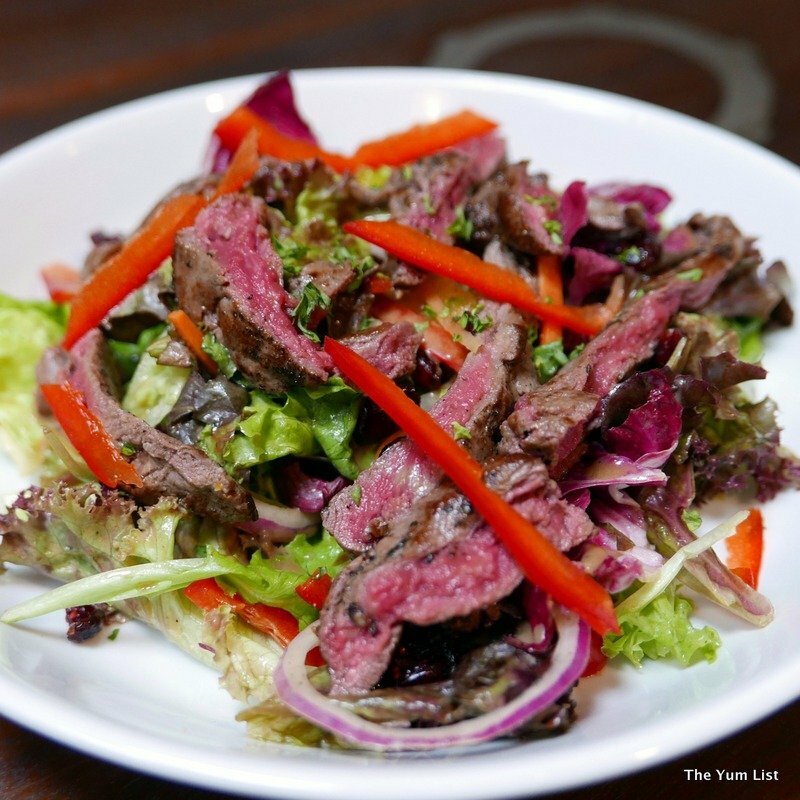 The Steak Salad (RM29) could be a meal all on its own. Tender chargrilled slices of steak are tossed together with mixed greens, dried cranberries, olives, red onion rings and orange segments. Citrus and spice are woven through with an orange and mustard dressing. 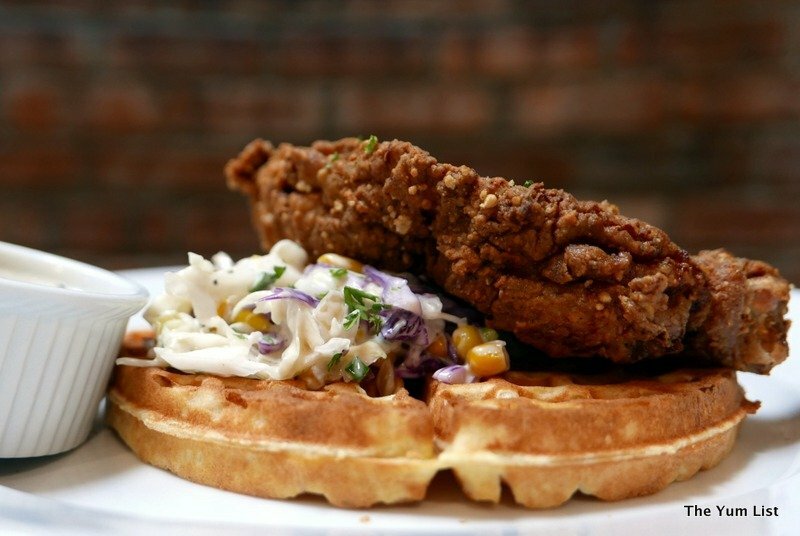 For some there’s nothing more comforting than fried chicken, and The Daily Grind’s version of Southern Fried Chicken (RM32) served atop a waffle might induce a little nostalgia for many. Coleslaw and onion gravy top off the combo. At first I taste the chicken on its own. It’s moist and the crisp batter encases it beautifully. But to get the complete experience it’s best to take a bit of everything on one fork: waffle, coleslaw, fried chicken and remember a generous spoon of onion sauce. Ampang diners benefit from a dinner menu not available at the Bangsar branch. 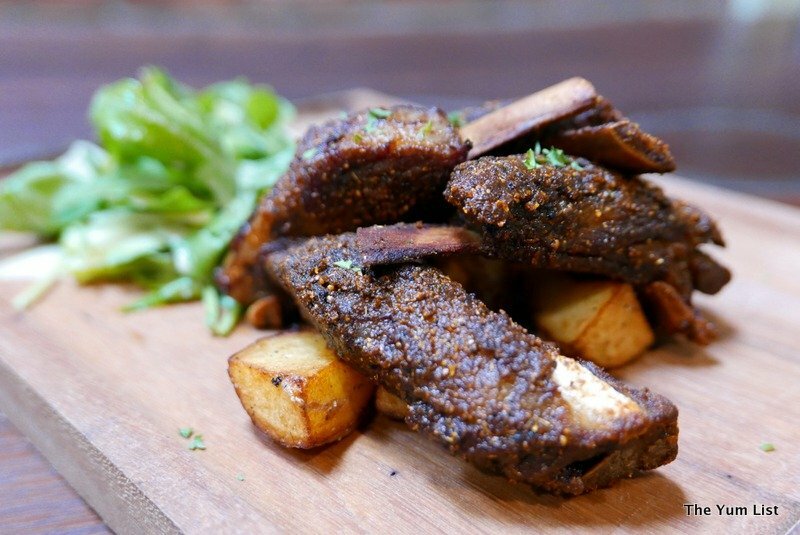 We try the Lamb Ribs (RM69), which have been prepared in an aromatic Asian-style seasoning. They’re tender and smoky, and served with salad, sautéed potatoes and raita. Chef has aced the seasoning on the ribs. The coating is a slither of crisp and inside it’s seductively moist. Yummo! 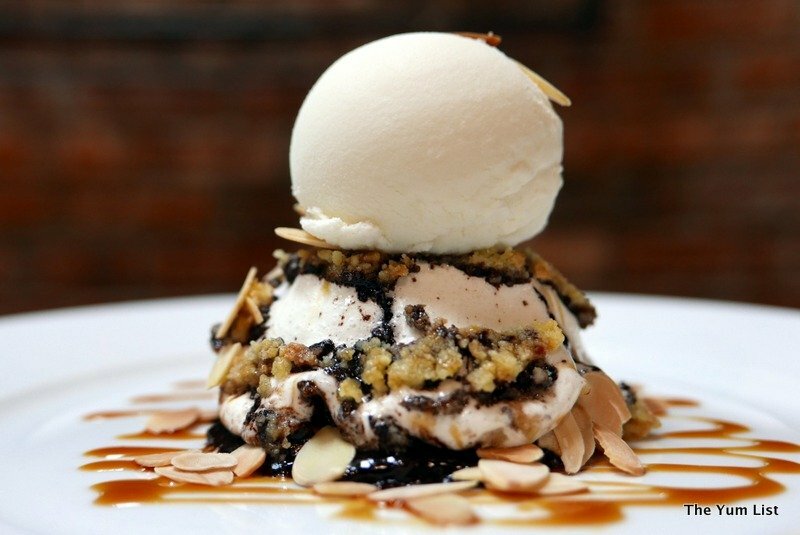 Coco Goes Nuts (RM18) sounds divine: layered coconut cookie crumbs, chocolate sauce, marshmallow, peanut butter and ice cream. The tower slices open into a sticky gooey mess of lusciousness, and we soon discover that the menu listing is as equally good tasting as it is sounding. It’s a dish that has us licking the roof of our mouths and flicking our tongues between our teeth to ensure every last scrummy morsel is fleeced. One of my favourite desserts, banoffee pie, has been given a contemporary reincarnation in the Banoffle (RM20). 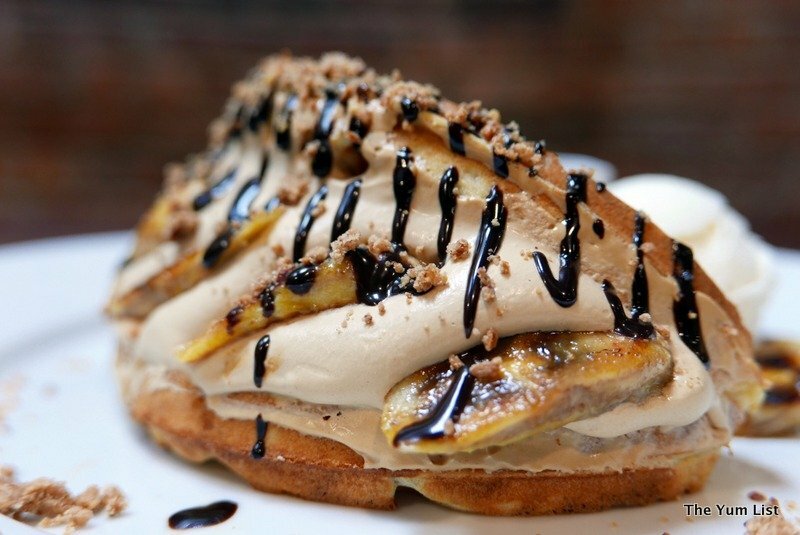 A fat waffle is sandwiched with coffee cream, caramelized bananas, peanut butter, cookie crumbs, and upon serving, drizzled with chocolate sauce. Our eyes are wide and mouth agape when it’s delivered. Boy oh boy, it is a monster! If you’re thinking you’d just like a little sweet something at the end of a meal, this is not for you. If you’d like to share or have the appetite of a lion, then this one is right up your alley! Eventually The Daily Grind will have a fully stocked bar when the liquor license arrives, but for now bottled beer is available, along with a good list of coffee, tea, carbonated drinks, fresh juices, milkshakes and mocktails. Milky espresso drinks are pretty! 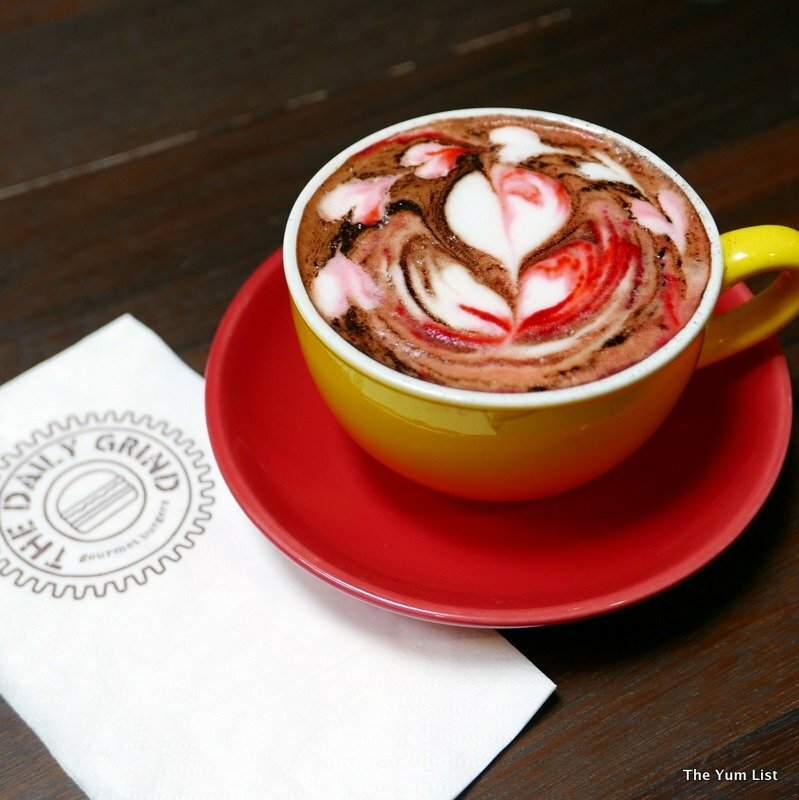 Our Cappuccino (RM10) comes with a pink whirl through the top, and is a decently made brew. 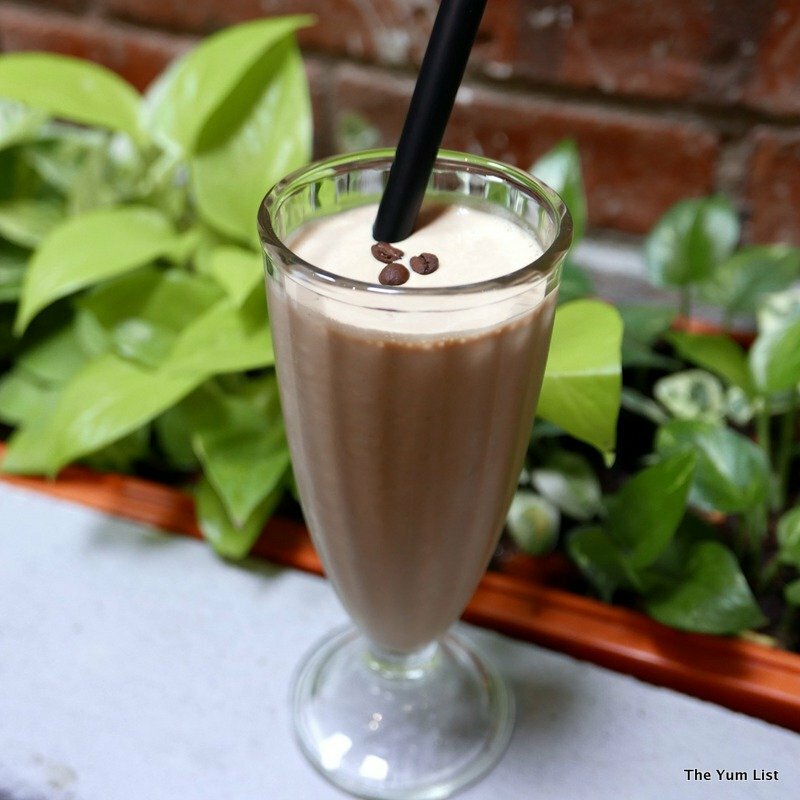 Milkshakes though, seem to be made for burgers, and so my suggestion is the Baileys and Coffee Milkshake (regular milkshakes are RM14, those with a kick of liquor are RM25). It’s thick. It’s creamy. It’s sinful. It’s a must-order. Besides being conveniently located on ‘this’ side of town, there’s much to love about The Daily Grind. 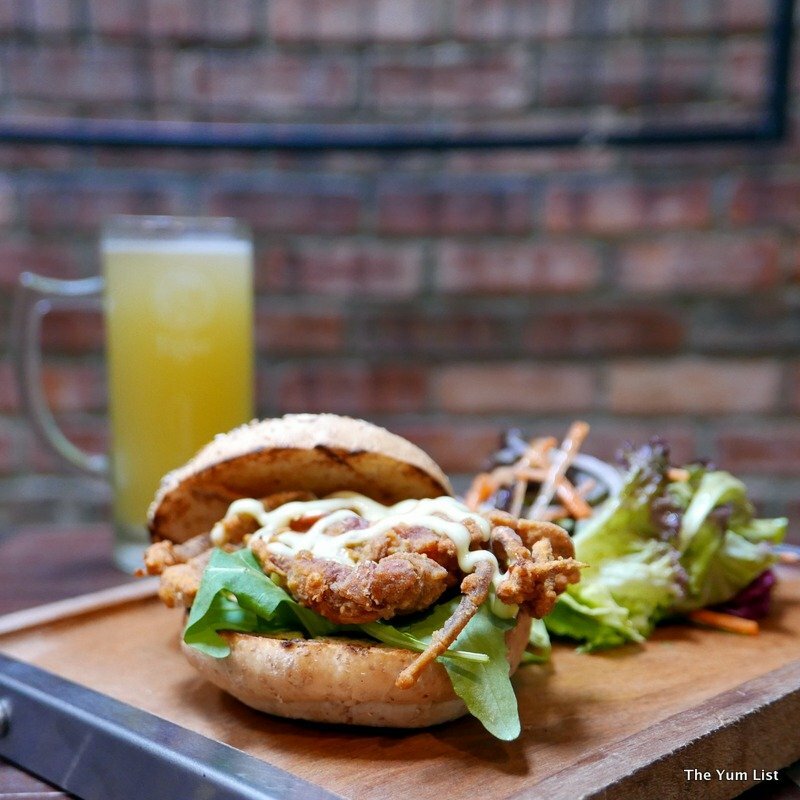 Burgers, wholesome meals, an attractive and friendly setting: it’s a great community locale and a very welcome addition to the food scene in Ampang. Reasons to visit: pleasant setting; variety of burgers including vegetarian, meaty and paleo; while hubby prefers his lamb without seasoning, I loved the lamb ribs; don’t miss the Baileys and Coffee Milkshake; and for sweets lovers dessert is a must. Parking is tight. I recommend getting a ride.